Nicholas Hoult dons a BOSS coat and leather vest with a Daks linen jacket and trousers. He also sports a Jaeger-LeCoultre watch. 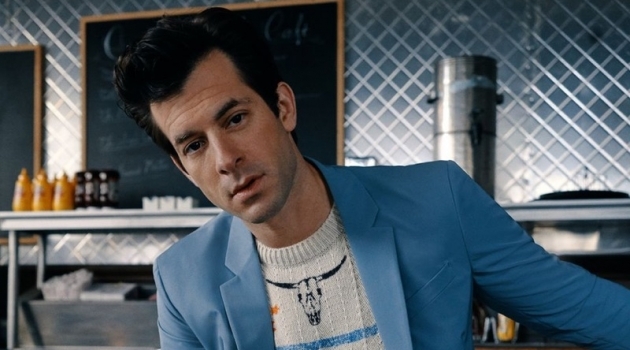 How to Spend It looks to 1980s-inspired silhouettes for a new tailoring story. The magazine taps none other than Nicholas Hoult to star in the feature. 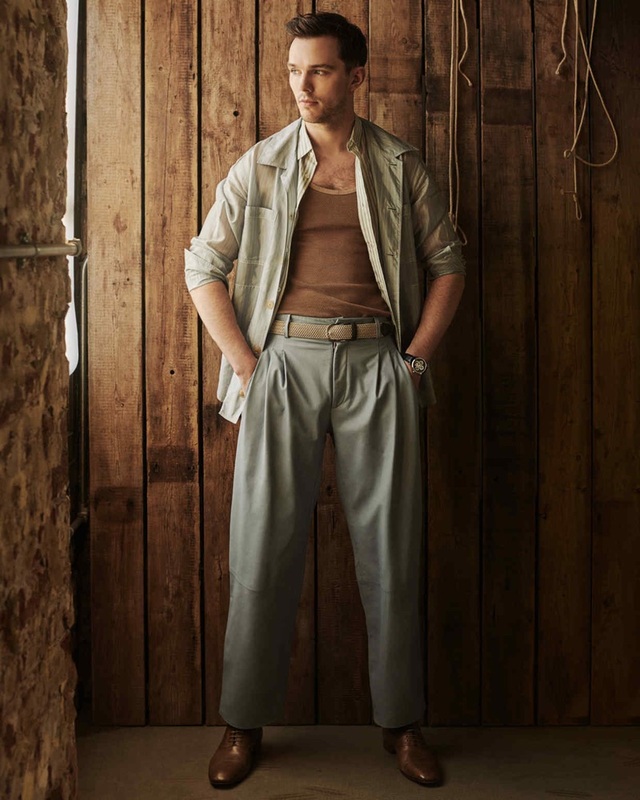 The English actor takes to the studio for the occasion, connecting with photographer Damien Foxe. 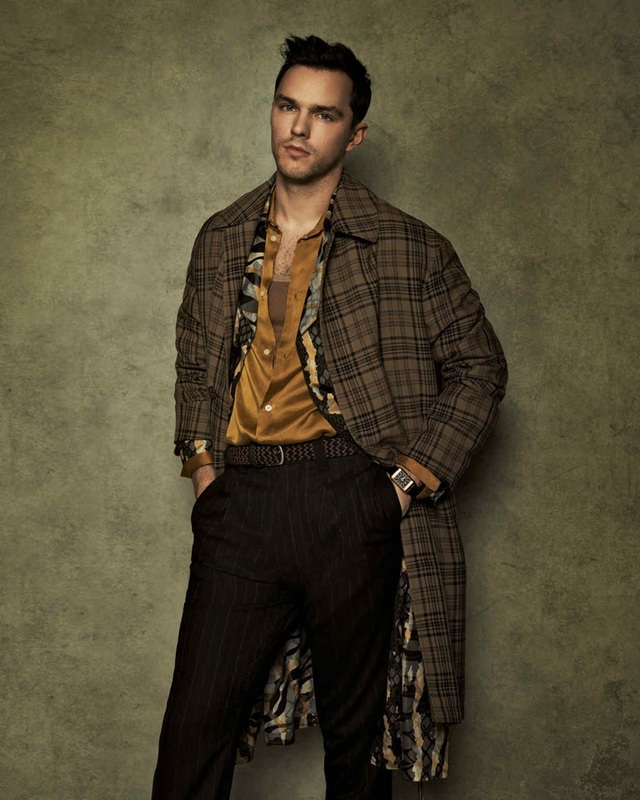 Reminding us of his days as the face of Tom Ford, Hoult is picture-perfect. 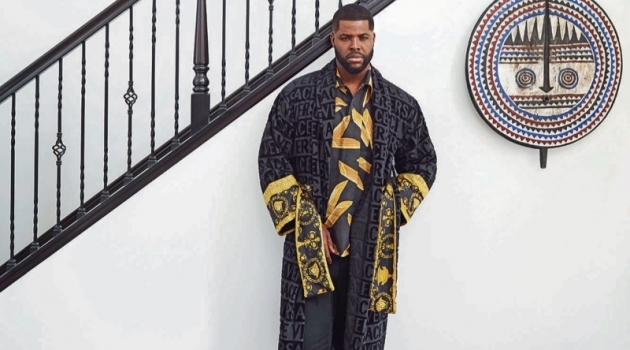 He dons ensembles styled by Elad Bitton. 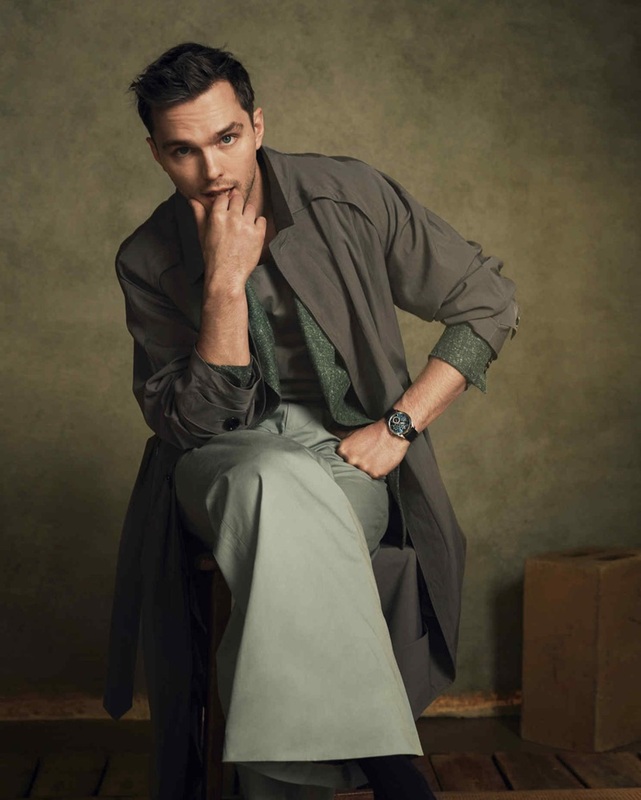 Donning the likes of Giorgio Armani and Daks, Hoult also sports timepieces by Jaeger-LeCoultre. Actor Nicholas Hoult sports a Dior Men shirt, leather Paul Smith trousers, Christian Louboutin shoes, and an Anderson's belt. Making a check statement, Nicholas Hoult wears an Ermenegildo Zegna linen suit and silk shirt with a Sunspel top. Front and center, Nicholas Hoult sports a check Hermès coat over a Roberto Cavalli coat. The actor also dons a Sean Suen shirt and Margaret Howell trousers with an Anderson's belt. 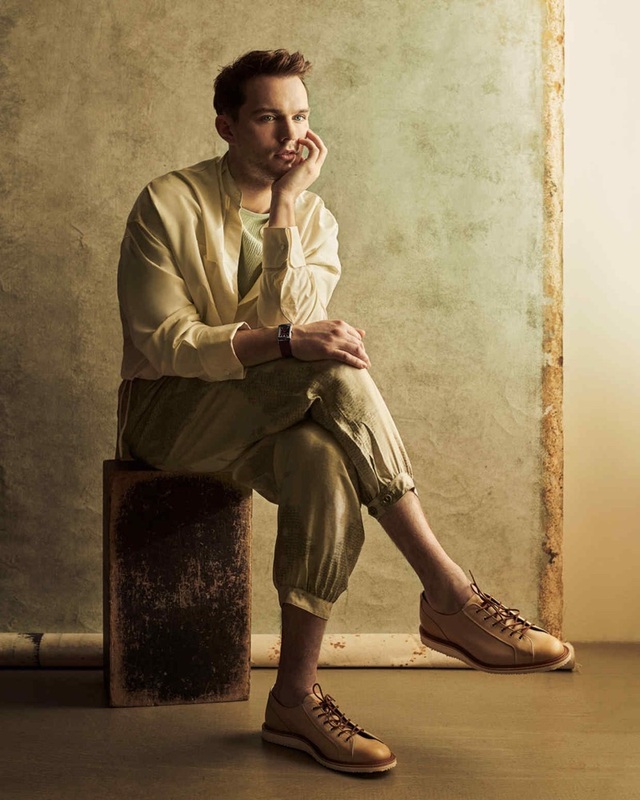 Sitting for a photo, Nicholas Hoult wears a silk Louis Vuitton shirt, Sean Suen ribbed t-shirt, Giorgio Armani trousers, and Tricker's shoes.